This week I am going to round out my list of 40 things I love about Star Wars. But I have decided that this is only the beginning of celebrating the 40th anniversary of this franchise. 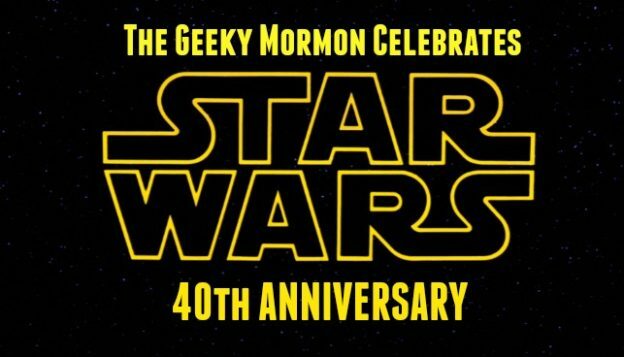 This year, I want to write a total of 40 posts about Star Wars, both for TGM and my personal blog, The Jedi in Jeans. We’ve got a long ways to go, so stay tuned! Enjoy May the 4th this week, if you have a minute with all the other fandom shenanigans going on. This entry was posted in Star Wars and tagged books, Star Wars, Star Wars 40th Anniversary on May 2, 2017 by Lizy Cole. My capstone paper at BYU was on online fandom and I had to explain a lot of terms in detail to a professor who wasn’t very well-versed in modern trends. 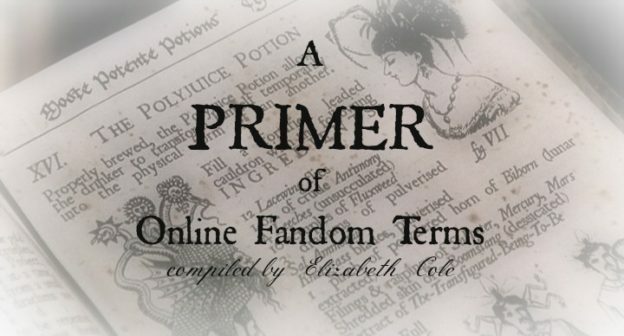 Since graduating, I’ve found out there is a lot more to fandom that I wasn’t even aware of, including terminology and slang. If you use Pinterest and Tumblr or you follow fandom sites on Facebook, the following may be some ideas to be aware of when looking at fan art and reading others’ posts, as well as commonly used slang. The slang terms you can look up in the Urban Dictionary (which is a site I DO NOT recommend for children). 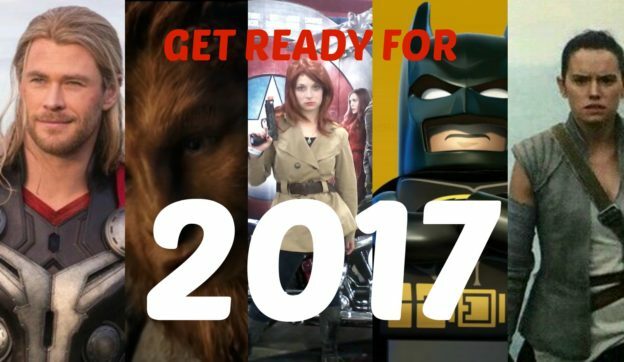 This entry was posted in Disney, Fandoms, Harry Potter, Marvel, Star Wars and tagged Animation, books, Disney, Doctor Who, Fandom, Harry Potter, Marvel Cinematic Universe, Movies, Star Wars on June 11, 2016 by Lizy Cole. Is The Book Really Better? I grew up hearing that The Lord of the Rings films were actually pretty close to the books. When I finally watched them, however, I found out that the films were actually quite a bit different. True, there were some things I liked better, and some of the changes were understandable or more interesting, but on the whole, I liked the books better. 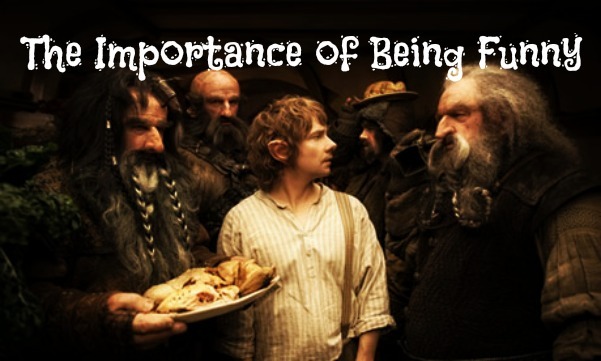 That’s actually all I’m going to say about LOTR for this post, but it serves as an introduction to an important discussion. I am a book geek. I have been since the first grade. I will be until I go blind in old age. But that doesn’t mean I a hundred percent hate movies that are based on books. I don’t always read the book first, but I am the kind of person who prefers to. 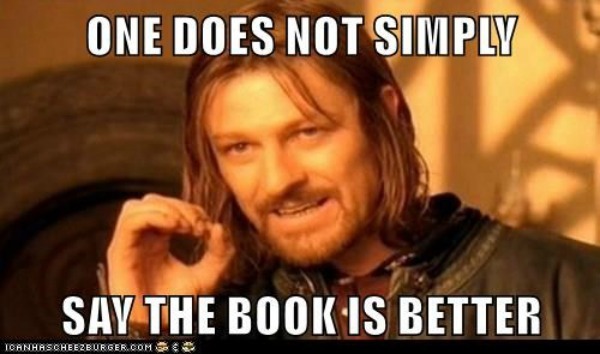 This is the case especially when I’ve heard good things about the book as well, for instance, Life of Pi. On the other hand, sometimes I refuse to read the book because the film/television version I grew up watching is completely different and I don’t want to tarnish my feelings for the film (a lot of Disney movies I like are this way). But if the movie is based on a book that I have read and liked, then I am going to hold it to a certain standard. This entry was posted in Fandoms, Harry Potter, Lord of the Rings and tagged books, Harry Potter, Lord of the Rings, Movies on January 28, 2016 by Lizy Cole.